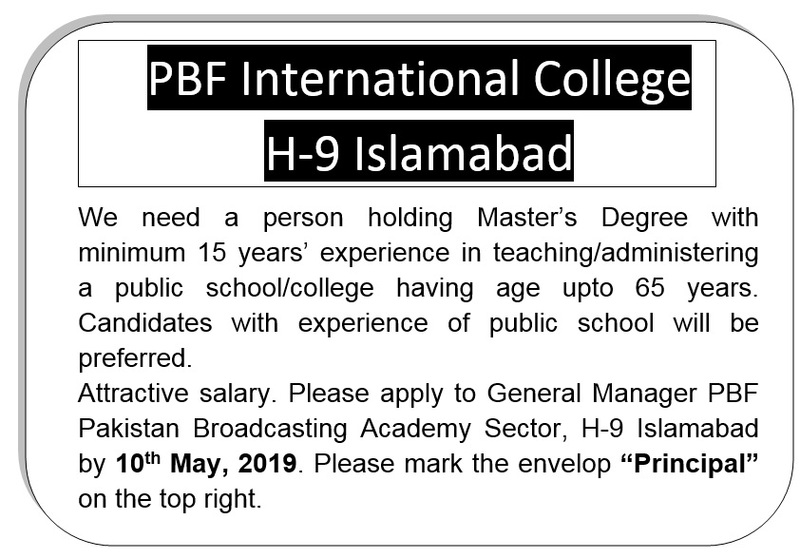 Radio Pakistan requires English News Readers having Bachelors Qualification, preferably Masters, good quality of voice, pronunciation and accent. Those interested may contact on following landline number. Radio Pakistan requires English News Readers having Masters Qualification, good quality of voice, pronunciation and accent. Those interested may contact on following landline number. Young and energetic voices are requested to contact Station Director Radio Pakistan Karachi for auditions of a channel with promising prospects on 12 March 2018 (Monday) between 10:30 AM to 1:30 PM at New Broadcasting House Gulshan-e-Iqbal Karachi. For further information contact Deputy Controller Programme, Ms. Shagufta Aftab.